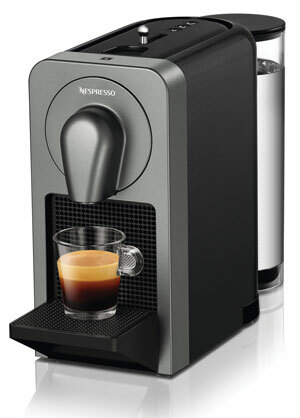 Prodigio is Nespresso’s first connected machine. It includes automatic capsule ejection; a removable water tank; empty water tank detection; scheduled brewing; capsule stock management; and a folding drip tray for a latte macchiato glass. Guestrooms are constantly on the lookout for multi-purpose pieces, and this trend extends to in-room appliances, which have long lent themselves to multi-purpose use, as is the case with the staple of the combination mini-fridge. However, in modern trends, in-room appliances aren’t so much merging with each other as they are connecting with technology. This, of course, makes sense, since hospitality always seem to follow residential, and the smart home sector has increased exponentially in recent months. When guests stay at a hotel—whether it is a mid-market property or a luxury resort—they don’t just want what they already have at home; they want even more. 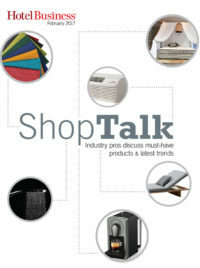 “With the home/consumer IoT market exploding, guests are going to start expecting similar solutions and connectivity in their hotel rooms,” Edwards said. For hotels opting out of the traditional minibar, Bartech offers its eTray solution, which features wireless technology and a leather exterior. With the guest propensity to bring their own device—and, in most cases, several devices—power is an integral commodity to think about when buying in-room appliances. An alarm clock can’t just wake guests up—chances are, the guest is using his phone as an alarm. 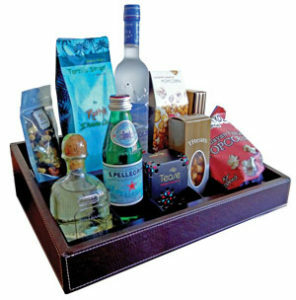 Instead, in-room products must facilitate that need. “Everyone is trying to get power everywhere and making it easy for guests to connect to power,” said Edwards. Guestrooms have introduced multiple ports into nightstands, lamps and desks. With guests carrying so many personal devices on their travels, they expect multiple points of power to charge. While rooms are adding charging ports, they are not adding much else in the way of appliances. 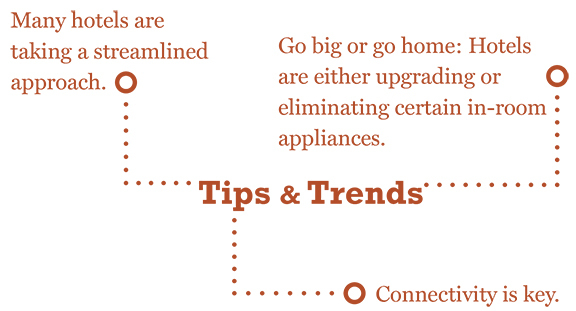 The trends for in-room appliances are veering toward minimalism. Instead of adding new pieces, hotels are removing appliances that they feel no longer suit travelers’ needs or the quality of experience. 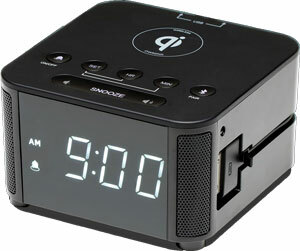 The Kube Essentials alarm clock, designed by Kube Systems, features multiple charging options, including a top-mount AC outlet, two rapid-charge smart USB ports and a wireless Qi charging pad that attaches to the base of the unit as an additional option. Kube Essentials will be available to hotels next month.